Brand New Breathtaking Modern Custom Construction in Beautiful Santaluz! 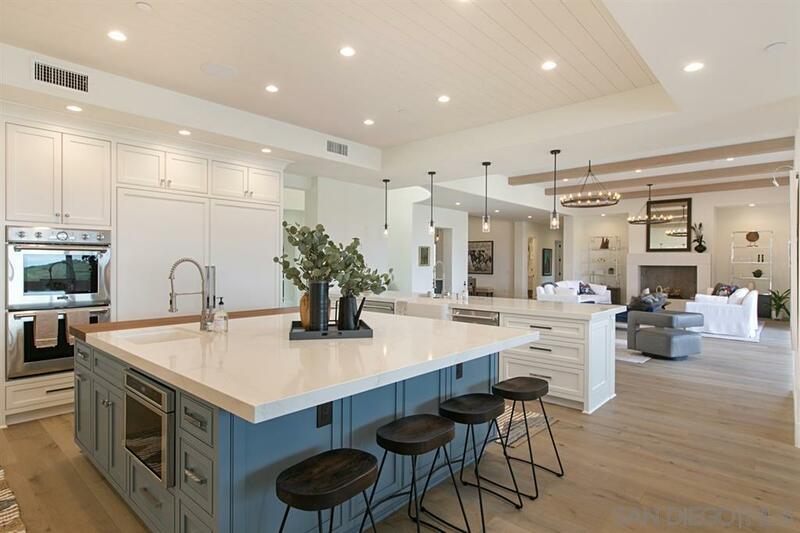 The opportunity to own a brand new home in the highly desired gated community of Santaluz is quickly fleeting, and this spectacular custom masterpiece, built by the highly esteemed and talented Mulvey Custom Builders, is like no other. Instant serenity awaits beyond the private gate of this aesthetically stunning estate. As you enter, you're greeted with an open and airy floor plan, exuding warmth and exquisite details throughout.., The main level features a tranquil front courtyard, spacious living room/dining room combo, seamlessly opening to the expansive outdoor living space, including fireplace, built-in BBQ/outdoor kitchen, spectacular custom pool & spa w/ pool bath, all with amazing westerly open space views and breezes. Also included in the main level is a 1 bedroom attached casita, featuring private access as well. The gorgeous family kitchen features fine finishes, top of the line appliances, and an oversized breakfast nook. Directly off the living space, enjoy and entertain with an impressive sports bar with pocket doors into state of the art home theater. The luxurious master retreat is built for indulgence, with a large steam shower, deep stand-alone soaking tub, his and her toilet rooms, and impressive walk-in closet. Upper level includes two secondary bedrooms/full baths enjoined by a large covered view patio with fireplace. This home is an absolute must see to believe!